As new graduates flood the market and unemployment remains high (especially for recent grads), I found this article by Tom Friedman timely. Friedman writes about HireArt, a start-up firm focused on connecting employers with candidates who demonstrate their job fit through realistic job previews and assessments. 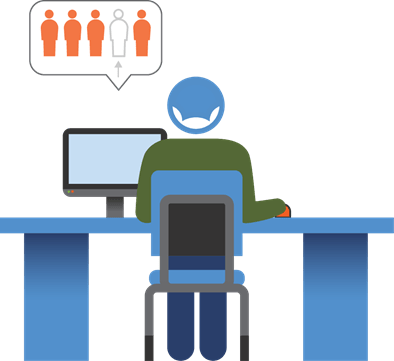 They solicit not only resumes from job seekers, but also written and video responses to hypothetical but realistic work situations. I’ve written in the past about candidate assessment as well as how to determine when to cut people loose who weren’t good fits. Hiring people always feels risky. Organizations try to mitigate this risk by encouraging employee referrals, and often by looking at lots of candidates before they make a decision. The HireArt approach makes a lot of sense. In the hiring part of our business, we similarly help organizations source and assess candidates whose skills and preferences will allow them to be successful. As I’ve also mentioned before, though, candidate assessment is only half the equation. You need to start with the right set of assessment of criteria. As a first step to hiring success, managers need to work with recruiters to create hiring profiles based on the competencies required for success in the position. Based on that profile, managers and recruiters can then work together to establish appropriate screening and assessment criteria and approaches. This approach is harder and takes more time than posting a recycled job description and hoping that the right resume will appear in the pile. It may, however, save you from the pain and heartache of positions that remain open for months or worse yet, the mutual disappointment of hiring the wrong person for the job. Previous Previous post: Memorial Day – How do you say thank you to vets? Next Next post: Team Building – Yea or Nay?